Despite being highly critical of the band’s second album, Olm, when it was released last year (describing it, in brief, as overly “…fragmentary and disjointed…” and somehow less than the sum of its parts) I would still count myself as a big fan of Aussie troupe Hadal Maw, and had high hopes for this EP when it was first announced. I’m therefore quite happy to report that their new EP, Charlatan, is a welcome return to form from the Melbourne-based Death Metallers, which takes the darker, more angular sound with which they experimented on Olm and harnesses it to the more focussed song-writing and cleverly hooky arrangements of their debut in a way which extracts and integrates the very best of both albums. The inhumanly tight guitar work and wild, shrieking vocals of “Idolatry”, for example, provide a brilliant contrast of machinelike heaviness and organic intensity, interspersed here and there with moments of eerie, atmospheric melody and haunted ambience, such that the band always seems to have a fresh new trick up their sleeve to keep the song moving ever forwards. “Vilified” is six-and-a-bit minutes of titanic, tidal guitars and deviously dissonant, ear-worming lead parts, which at times seems almost ready to collapse under the weight of its own prodigious heaviness, yet which never loses its sense of constant, unstoppable momentum, while “White Elephant” – although occasionally threatening to get lost in the same sweltering squall of directionless discordance which proved to be Olm’s ultimate undoing – ups the aggression levels even further, to the point where it often feels like the band have sunk their teeth into the scruff of your neck and are simply going to drag you wherever they want to go, regardless of how much you might try and resist. 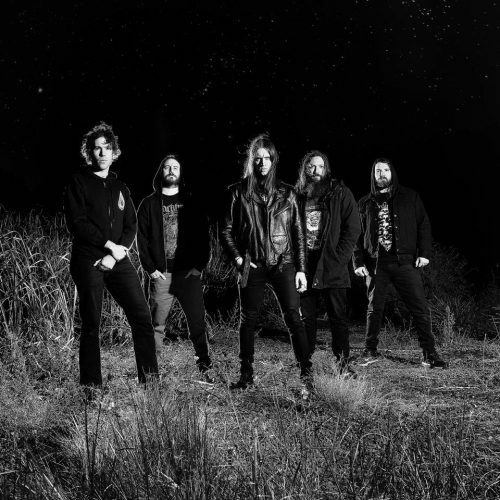 The two-part finale, “Charlatan Part: The Grand Serpent” and “Charlatan Part II: Fervent Beasts”, however, is the EP’s true pièce de résistance, collectively clocking in at just under twelve-minutes of punishing, pneumatic riffage, bleak, brooding ambience, and calculated rhythmic contortions, all topped off with an array of exotic pseudo-melodies and a truly vicious (not to mention versatile) performance by vocalist Sam Dillon. 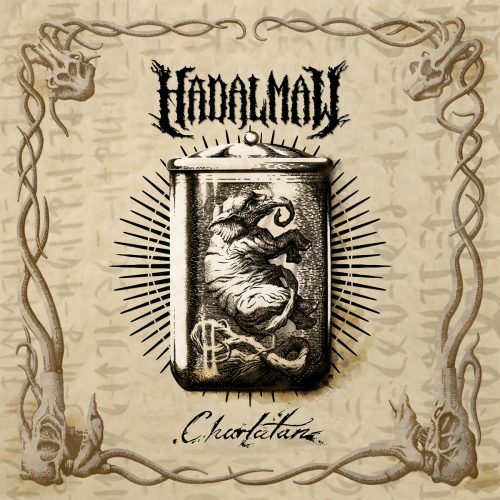 It’s always good to see a band getting right back on track after stumbling a little, and Charlatan is definitely one hell of a confident step forward for Hadal Maw, and suggests that bigger, better things could be just over the horizon. 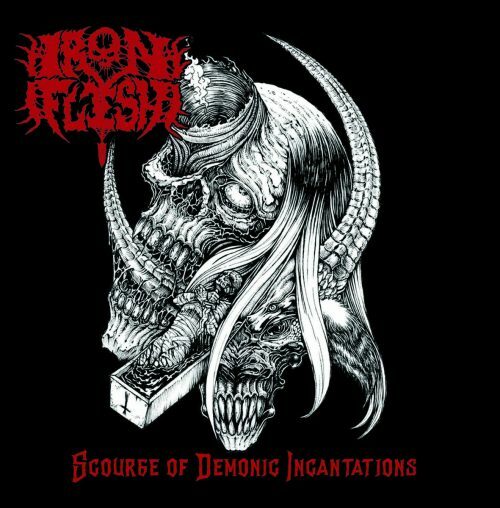 I reviewed the first EP by Iron Flesh, the Old-School Death Metal worshipping project of Julien Helwin (ex-Otargos), in September of last year, and since then the band’s line-up has been expanded to include three new members, but their core sound – all brutish, buzz-saw riffs, dark, dirty melodies, and guttural, glass-gargling vocals – remains practically unchanged. What this means of course is that while the group clearly aren’t interested in reinventing the wheel steel, songs like “The Nameless Fog” and the ever-so-slightly blackened brutality of “Dehumanized Nation” still provide some brilliant throwback thrills which recall the early days of Grave, Autopsy, etc, in their prime. That’s not to say there haven’t been some slight tweaks to the formula between the release of the two EPs, however, as the early bars of “The Call of the Ancient One” (as well as parts of the aforementioned “Dehumanized Nation”) err more towards the menacingly melodic approach of late-90s Hypocrisy (a style which the previous EP flirted with on only a very limited basis), proving that the group are capable of more than just bombastic blastery or chunky, churning chuggery when the need calls for it. It’s not all bloodstained gold, of course, as “Obscure Paranoid Visions” is undermined by an irritating repetitive lead refrain and a general lack of direction, but thankfully the more punky, Entombed-ish vibe of “Consumed By Fire” makes for an invigorating closer, so that the whole thing should, ultimately, more than satisfy any cravings you might have for a taste of Death Metal “like they used to make it”. Allow me to lay all my cards on the table. Yes, the bassist and drummer from Taken By The Tide also happen to be in a little band called Beyond Grace, and yes, normally this would be more than enough reason for me to recuse myself from reviewing them, as I generally try not to write about bands I’m friends with, let alone bands I share members with! But, the more I listened to Revenge, the more I felt that, in this instance at least, I actually could provide the requisite sense of critical (and personal) detachment necessary to judge this EP on its own merits, even if I’m sure some people will still question my ability to look at this one objectively. The exceptionally violent and visceral pairing of “The Organs Are Mine” and “Grave Lessons” kicks things off in stunningly effective style, and together make it immediately obvious that Revenge – as befits its cover art – is a darker, nastier, and altogether uglier piece of work than its predecessor, with the band’s characteristically mechanistic instrumental precision counterbalanced (as always) by the in-your-face aggression of Phil Illsley’s rabid, raving vocals. This time around, however, the compositions themselves seem to have a much more organic, much more chaotic (albeit still terrifyingly tight), feel to them, and the whole EP just seems that little bit less calculated, and that little bit more raw, despite its laser-targeted technicality. Just as importantly, the band look to have put a lot more effort into crafting an ever-present atmosphere of ominous, oppressive dread this time around, which not only helps tie things together (like a good rug) but allows them greater room to explore different sonic textures while simultaneously trying to smash your teeth in. I’ll grant you, there’s a small, but noticeable, lull, in the middle of the EP as, despite a promising start (including the clever use of reverse piano to add to the track’s already unsettling vibe), “Moloch” never really rises to the same heights as the preceding two tracks, though not for want of trying, while the piano-led instrumental “Revenge Overture” does little more than pad out the running time, and seems destined for the skip-button. Thankfully, any resultant slack is quickly gathered up, pulled taut, and stretched to breaking point, by the Car Bomb-esque barrage of heavy hooks and techy twists that is “Anfang Extinction” and the suffocatingly dark and abrasive assault of the Death Metal-tinged “Now I Am Become Death” which – despite being yet another use of that infamous Oppenheimer quote – is not only the best track on the EP, but also represents a side of the band which I hope they explore further in the future. 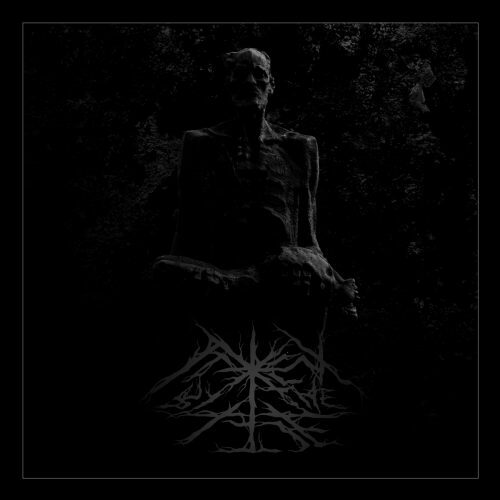 It turns out that Revenge isn’t just best served cold, it’s best served in blistering, bite-sized chunks of devious Death/Djent!